Nearly three thousand inhabitants of this northern Moroccan town were slaughtered in the 1950s when Hassan, the crown prince who later became king, led the army to crush a revolt here. Yet even in Al Hoceima, long seen as a hotbed of dissent, many voters say they will back a reform package proposed by the late Hassan’s son, King Mohammed, which has become a test of how the monarchy faces up to the “Arab Spring” push for change. “Of course I’ll vote ‘yes’,” Mohamed, a local in his 50s, said of his voting preference in Friday’s referendum. Critics say the measures do not go nearly far enough in easing the king’s grip on power, but Mohamed has personal experience of the downside of protest movements. “Leaders of previous revolutions fooled Rifians and used them like wood to light a fire,” he said of the local Amazigh people whose Hassan-era uprising was crushed. Morocco’s “February 20” street protest movement has not won the levels of mass support that toppled leaders in Tunisia and Egypt. But the proposed reform package shows authorities take it seriously. The package grants the government executive powers but keeps the king at the helm of the army, religious authorities and the judiciary. Critics dismiss the reforms as window-dressing but concede the “yes” camp is likely to win. If any place in Morocco was likely to fall into the “no” camp, it would be Al Hoceima. Of the seven people who died after nationwide protests kicked off in February, five of the dead were here. Yet many in the town praise King Mohammed for bringing Al Hoceima back to the Moroccan fold after it endured decades of isolation under King Hassan. King Mohammed’s repeated visits and prolonged stays after a 2004 earthquake killed some 630 people in the town was a watershed in the monarchy’s relationship with a region that enjoyed brief independence as a republic in the 1920s. For some here, a mistrust of authorities remains, however. Interviewed by Reuters, relatives of three of the victims who died during the protests do not believe the official version that they were trapped inside a branch of a state-controlled bank set ablaze by rioters. They think they were tortured and killed by police. The police and justice ministry were unreachable to respond to the allegations and a government spokesman declined to comment. But even among the victims’ relatives, opinions are split. Hanane Boudriss, widow of Jamal Salmi, a tailor whom she married a year before his death, said the authorities’ handling of the case showed they were not serious about having an independent judiciary, a main concern of many Moroccans. But Fadwa Benkaddour, sister of another of those who died, clings to the belief that this could be a turning point. “(I hope authorities) mean what they say about what the new constitution will bring,” she said. Many others support the reform plan because they an obligation to the 47-year-old monarch. “The king is on the people’s side. The security apparatus, parliamentarians and drug dealers are against us. In this, we agree with the February 20 Movement,” Rabii, 24, said. February 20 activists say the king has used his considerable influence and resources to tilt the vote in his favour. Local activist Mohamed El-Majjaoui said the king has granted taxi permits and grants of 10,000-20,000 dirhams ($1,270-$2,540) to the unemployed and needy since the 2004 quake. “You now hear more and more people refer to the king as ‘our lord’ … This was not the case before 2004,” he said. 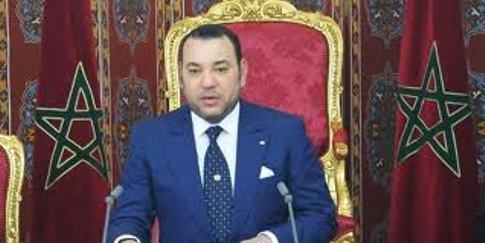 Another activist, Mahmoud Ouahoud, said the king’s implicit call on Moroccans to vote for the reform had swayed sentiment towards measures that do not go far enough, capitalising on the fact that four out of 10 adults neither read nor write, with much higher illiteracy rates in the countryside. “The majority considers that by voting ‘yes’ they will be voting for the king and in saying ‘no’ they will be opposing him,” Ouahoud said.